On Sunday 18th October, CNOC will hold a local "Come & Try it" event on the Curragh. Start times will be from 10:30 to 12:30. These slightly earlier start times are to facilitate those who would like to watch the rugby match between Ireland and Argentina at 13:00. Parking will be at the NCO's mess in the Curragh Camp which will be available after the event to watch the rugby in, GPS coordinates: 53.144525, -6.824443. The event will be signposted from the post office in the Curragh Camp. On the route to the parking there is a barrier that must be passed through. This will open if you simply drive up to it. Timing will be SportIdent and SI cards can be rented for €2 on the day. From the M7 take junction 12. From the North take the second exit on the roundabout signposted for the Curragh Camp. From the South, cross the bridge and take the third exit signposted for the Curragh Camp. From here it is just shy of 2km to the second left in the Curragh Camp immediately after the post office. Drive up to the barrier and it will open for you. Take the first right after the barrier. Continue 200m to a T-junction where you turn right and the event is on the right. 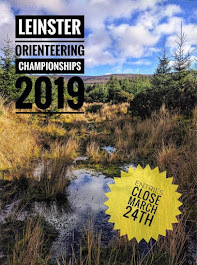 If you will be bringing a group please email us at cnoc@orienteering.ie to let us know in advance.